Pop Music Production delves into academic depths around the culture, the business, the songwriting and most importantly the pop music production process. Phil Harding balances autobiographical discussion of events and relationships with academic analysis to offer poignant points on the value of pure popular music, particularly in relation to BoyBands and how creative pop production and songwriting teams function. Included here are practical resources such as recording studio equipment lists, producer business deal examples and a 12-step mixing technique, where Harding expands upon previously released material to explain how ‘Stay Another Day’ by East 17 changed his approach to mixing forever. However, it is important to note that Harding almost downplays his involvement within his career. At no point is he centre stage; instead he humbly discusses his position within the greater scheme of events. Pop Music Production offers cutting-edge analysis of a genre rarely afforded academic attention. This book is aimed at lecturers and students in the subject fields of Music Production, Audio Engineering, Music Technology, Popular Songwriting Studies and Popular Music Culture. It is suitable for all levels of study from FE students through to PhD researchers. 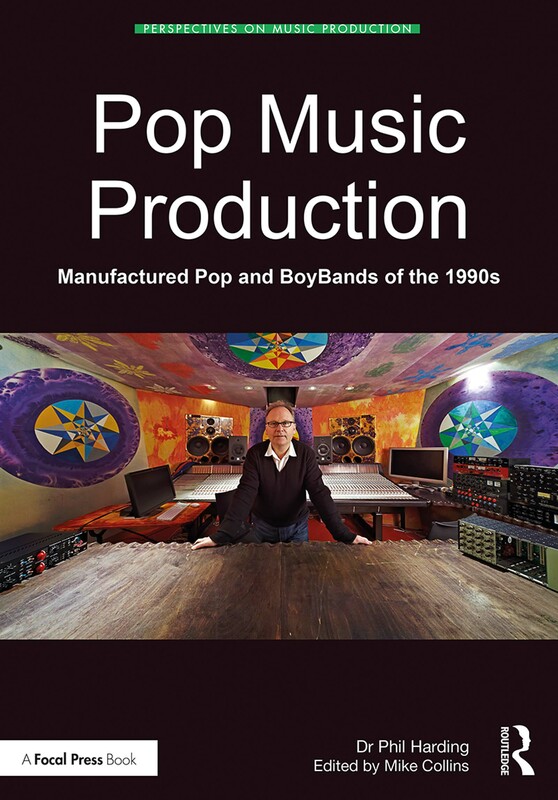 Pop Music Production is also designed as a follow up to Harding's first book PWL from the Factory Floor (2010, Cherry Red Books), a memoir of his time working with 1980s Pop Production and Songwriting powerhouse; Stock, Aitken & Waterman at PWL Studios. Dr. Phil Harding started at the Marquee Studios, London, engineering for acts such as The Clash, Killing Joke, Toyah and Matt Bianco. During the1980s, Phil was chief mix engineer for Stock, Aitken & Waterman (PWL Studios) working with acts such as Dead or Alive, Mel & Kim, Bananarama, Rick Astley, Pet Shop Boys and Kylie Minogue. In the 1990s, Phil and Ian Curnow ran P&E Music Studios from The Strongroom Studio complex, producing hits for East 17 (including ‘Stay Another Day’), Deuce, Boyzone and 911. Phil’s first book, PWL from the Factory Floor (2010, Cherry Red Books), was followed by productions for Holly Johnson, Samantha Fox, Belinda Carlisle and Curiosity. He completed his doctorate in Music Production at Leeds Beckett University in April 2017. Mike Collins began his music-recording career in 1981 as a songwriter-producer at Chappell Music Publishing where he achieved chart success with leading Brit-Funk band Light of the World. As part of a vibrant songwriters workshop in the mid-1980s, Mike co-wrote with a range of established writers and artists such as; Sly Fox, Cameo, Shannon, Jermaine Stewart and Joyce Sims. This led to top-flight session work from the late 1980s as a studio musician and MIDI programmer working with Cubase and Pro Tools. Throughout the 1990s and 2000s Mike developed a successful technology-driven writing career with a highly respected series of books for Focal Press (Routledge) on Pro-Tools. Mike leaves us with excellent music productions and his Pro-Tools books, which are stocked in most University and College libraries.